The unique feature of this Bank is that loans are extended only to women deposit holders, while men can open accounts or withdraw money. These “Peoples’ Bank” is run by AWARE, a Non-Governmental Development Organization in the villages of Andhra Pradesh and Orissa. To become a deposit holder in this Bank, one must deposit minimum of ` 10 and thereafter can deposit any amount on daily basis or at their convenience. The money thus deposited in the Saving account will fetch 1% more than Nationalized Banks. “Every women deposit holder, who has saved continuously for a period of six months, becomes eligible for loans. The idea is to inculcate the habit of savings and promote entrepreneurship in a small way among women”, says Dr. P.K.S. 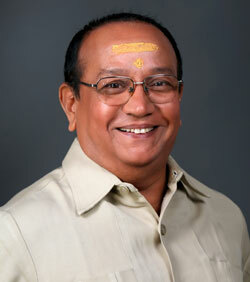 Madhavan, Founder and Chairman of AWARE. Mr. Appalakonda is the Chief Manager of one such “Peoples’ Bank” run under the Mutually Aided Cooperatives Societies’ (MACS) in Kandukur village in Mahaboobnagar district of Andhra Pradesh. He has three trained staff to undertake the day-to-day operations. “The maximum loan amount of ` 50,000 is given to the rural women and these loans are not extended to ventures relating with liquor business, cigarette, tobacco or pan shops. Banks function from 9 AM to 6 PM and the staff collects deposit from home as well,” said Chief Manager to Business Line. The Bank has evolved a clutch of schemes called Gramalakshmi (Crop Loan), Kamakshamma Aarthika Abhivrudhi Scheme (small amounts) and Swayam Krushi scheme to help rural women save and get loans to take up self-driven activity. There are already 1200 depositors in the Bank and the numbers are growing due to repayment flexibility. For small loans up to `5,000 the Bank has ventured to extend even without collateral or a surety just with the recommendation from the Village Association or the Mahila Mandali.AWARE today runs 65 “Peoples’ Bank” under the MACS in Andhra Pradesh and Orissa.